You’re not the athletic type. You never went out for high school sports, don’t carry a tennis racquet, or Yoga mat. You may be under 35, or over 50. Weight rooms are not your thing, nor trampolines, or swinging a baseball bat. But yet, you qualify for the title “Everyday Athlete”. How is that? You may need to rush to a meeting in a snowstorm, or hop over urban puddles on your way to catch a taxi. You may be carrying a cord of wood to fire up your wood burning stove. The activities of daily living, we take for granted, require strength, agility, fortitude, and stamina. Congratulations, you’ve earned the title, “Everyday Athlete”. – Stays slim. Knows that gluttony isn’t cool. – Climbs stairs at work, instead of taking the elevator. – Abides by the less driving rule. – Rides a bicycle, or walks to work. – Grabs an umbrella, and strides through the rain. – Unafraid to slog through snow. – Stays strong through blustery winds. – Tackles tire changing, and wiping down a snowy windshield. The Everyday Athlete knows the importance of strengthening the core muscles. That’s why they can fly over puddles, tackle snowstorms, zip up a flight of stairs, and never shrink from life’s difficult moments. 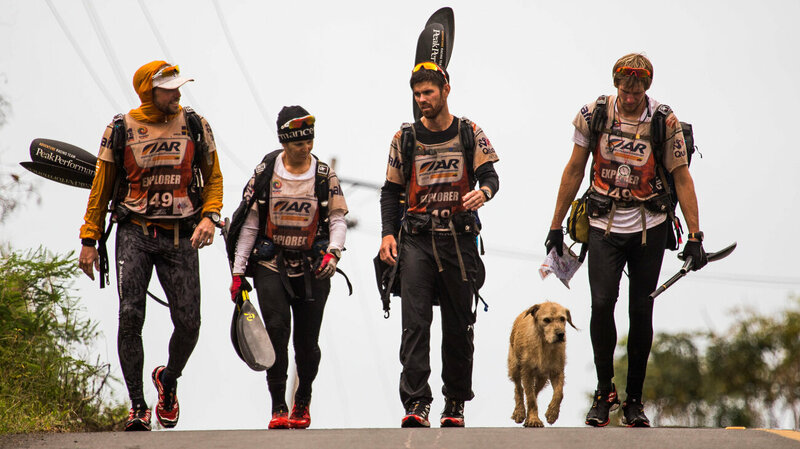 A lonely, homeless, dog, followed a Swedish race team through water, rough terrain, and muck, after they took pity on him, and fed him Swedish meatballs, while on an endurance race in Ecuador. The story received international attention, appearing in the Washington Post, NPR, The Daily Mail, The Telegraph, and the BBC, to name a few. The team named the dog Arthur, who is now a global celebrity. The team traveled 430 miles in six days and six nights, using maps as their only guide. After two-thirds of their journey, they were adopted by Arthur. Known as Team Peak Performance, they walked through Amazon rain forests, and kayaked through rivers. At first they hesitated about having the dog travel in a kayak, and decided to leave him. But the dog prevailed, after jumping into the water after them. They took him on board, where Arthur rode in one of the kayaks. The team came in 12th in the Adventure Racing World Championship. Long story short. Happy ending. Arthur was adopted by one of the team members, Mikael Lindnord, and now lives in Sweden. Read more on the Team Peak Performance Facebook page, where there are plenty of photographs of the team, and their mascot, Arthur. A lucky dog.